Drag-and-Drop App Builders products give non-developer users a solution to building do-it-yourself applications. Many times these products include features similar to design products, like visual drag-and-drop tools, to build apps. Drag and drop app builders are popular among those building their first mobile apps, including game apps. Drag and Drop App Builder reviews by real, verified users. Find unbiased ratings on user satisfaction, features, and price based on the most reviews available anywhere. Bizness Apps is making mobile apps affordable and simple for small businesses. 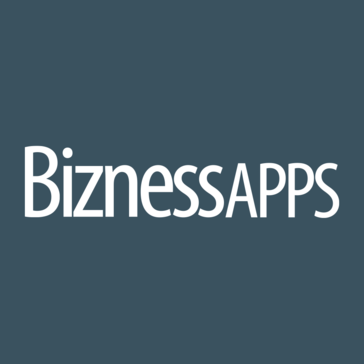 Bizness Apps is a do-it-yourself mobile app maker platform, allowing any small business to create, edit, and manage mobile apps online without any programming knowledge needed. Fully native apps We offer fully native iOS and Android apps, as well as HTML5 apps. This means better performance, security and a user experience that drives repeat usage of our apps. The competition can’t keep up! Make your own mobile app with no coding. Drag and Drop builder to create your own iPhone, Android and HTML5 mobile Apps. In only 20 minutes, you can build an app that's available all over the world, for just $1 a month. Features include: Live chat rooms, Video streaming, Photo Galleries, Restaurant reservations, maps, social feeds, sales leads, surveys, etc. GoodBarber is a DIY platform to create beautifully designed iOS and Android apps, along with their HTML 5 web app version, for an optimized cross-platform presence. Beyond creation, the GoodBarber interface becomes the preferred tool to manage one's mobile communication strategy, from push notifications to advertising. The GooodBarber an all-in-one interface is the perfect alternative to long and expensive independent app development projects..
Creo is a Mac tool which aims to combine the design and development process into one application. If you want to make games, what are you waiting for? With GameSalad Creator you can learn the basics and start making games in about an hour. That's right. You can make your first game in about an hour. Creator is a simple drag-&-drop tool for going from idea to App Store, with just the drag of a mouse. Kalipso is a mobile application generator that enables fast development through an intuitive drag and drop design interface. Kalipso enables cross-platform mobile app development and deployment. Main features: • Quickly develop native mobile applications for smartphones, tablets, barcode scanners, RFID devices, etc. ; • Use actual and emergent technologies without writing code, simply drag and drop; • Support for all major mobile operating systems (Android; Windows Desktop 7, 8 and 10; Windows Mobile; CE; 10 Mobile and IoT); • Design native mobile apps that take advantage of device specific features, including GPS, images, maps, barcode scanning, signature capture, etc. • Free runtimes: create as many mobile applications you need, and deploy them to as many devices as you need, without extra charges. AppInstitute AppBuilder is an application development software helps users to create apps for the clients. Designd, our celebrated digital publishing software, covers every part of the e-publishing process. Design your periodical content using our Adobe InDesign plug-in and build your own mobile app. Elite Grocery Mobile App is a mobile app for eCommerce stores, designed to increase return on investment. Mobincube is a DIY platform that allows to create own app without any kind of programming knowledge by using the visual interface and dragging elements into the screen and it will be able to create a multi-platform app (Android, iOS and Windows Phone) in just a few minutes. How to Make an App for iPhone & Android. Free App Builder, No Coding required! Appmaker.xyz is designed to help create native Android and iOS apps for business. Use the Buzztouch control panel to make an app, download the iOS or Android project, and you're off to the races. Codiqa is a powerful drag-and-drop builder for creating cross-platform HTML5 mobile apps and websites. It's simple, easy to use, and so damn useful. Configure.IT is a cross pletform mobile applications development platform that allows you to "develop" Mobile Applications for iOS and Android, Complete Backend and APIs - with NATIVE source code, WITHOUT coding! No template based work , you can create your own idea , we have demo projects and samples available for few of popular mobile apps created within configure.it plateform. CIT platform deliver backend API and data panel source code in PHP ( codeIgniter framework ) and iOS source code in swift and Android source code in Java , all help available to easy customization of source code. M-commerce store app builder for iPhone, iPad, Android and HTML5. Shoutem is most comprehensive mobile app maker platform that allows you to build mobile applications easily, without writing a single line of code. In other words, you don’t need to be a programmer to create your own mobile application for any purpose, whether it is personal, business, or promotion. The platform is designed to be easy to use, user ­friendly and to give EVERYONE the opportunity to create their own dream app, without the need to invest massive budgets or time to study programming. Shoutem offers an easy way for anyone to build their own mobile application for various mobile platforms without having to learn any programming language. The platform allows users to create mobile apps with simple drag ­and ­drop actions and to add various elements quickly into your app without writing the code manually. Also, you can accurately preview your mobile app before publishing it online and avoid any compatibility problems in the future. CMS and Analytics Features Shoutem platform provides a powerful CMS that allows you to build content for your mobile app with ease. There are multiple content sources available, as well as custom content modules to allow fast content building process for your application. 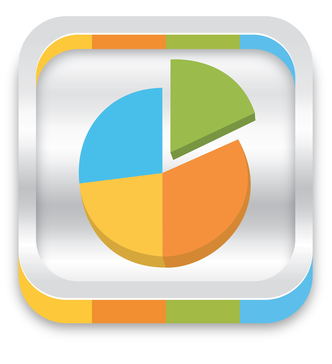 The analytics tool enables you to analyze your user behavior, app traffic, understand your users, boost engagement, as well as optimize your app performance efficiently. It also offers a built­ in push notification module without any limitations, user management, and user activity information. It’s insanely easy to use the platform ­ anyone can build an app from the ground up. It employs a drag and drop interface so operating it is quick and efficient, allowing you to focus more on your app rather than on figuring out which button does what. Features & Modules You can build native iOS, Android and HTML5 apps in no time without any coding skills at all. With the variety of different features and module, Shoutem provides a comprehensive solution for various types of apps ­ from SMEs, shops, communities, news companies, churches, etc. Almost every type of an app can be created with Shoutem platform. Some of the most popular modules/features are: - News module - Loyalty module; Single ­card and Multi­ card loyalty - Audio & Video module - Events module - Facebook, Twitter and Instagram integration - Shopify integration - WordPress integration - Ads integration - Social module - Unlimited Push Notifications - Powerful Analytics module Multiple Monetization Options Shoutem not only allows you to build your own mobile app in a quick and easy way, but it also gives you the ability to generate revenue from your mobile app. There are various modules and options available that allow users to generate income from the app. For instance, the e­commerce module allows you to integrate your Shopify store into the app, which makes it possible for you to accept e­-commerce transactions through your app. The mobile advertising module allows you to put advertisements on various mobile advertising networks (DFP, AdMob, MoPub). The places module allows you to promote various local businesses and run a loyalty program, both Single­ card and Multi­ card, for them. Automated App Publishing Shoutem allows you to publish your mobile app automatically on Google Play Store and App Store with your developer account. T­he complete publish process is done on Shoutem side so users can focus on the app content and design. App content can be updated anytime, and re­publish of the app is free of charge. Additionally, you can update your app binary for free as well, allowing the best app compatibility with the latest Android and iOS version. The app binary update ensures that your app is always compatible with the latest Android and iOS upgrades, as well as with various mobile devices. White-­label Reseller program Shoutem also provides a white-­label reseller solution which is perfect for agencies, individuals or organizations that want to sell Shoutem apps to their clients. Reseller program enables you to generate more revenue by creating quality white-­labeled mobile apps for your clients. Building high ­quality native apps at a fraction of the cost of custom development is easier than ever. In reseller package, resellers can provide clients with very own branded dashboard on own domain. It's 100% customizable for you to make your own, give clients secure accounts to let them manage their app, moderate content, send push notifications and in addition to priority email and phone support, resellers receive initial app ­creation training, plus a dedicated support person. Swiftic is app development software with an easy-to-navigate interface that allows anyone to create an app. AppArchitect lets you quickly create great mobile apps. AppElis has created a solution that provides both small and large businesses with the easiest route to their own mobile app. AppElis platform will deliver a custom mobile application for a fraction of the time and standard development costs. Apphive is an advanced web platform that allows the creation of dynamic mobile applications without the need to write code or program. You only need to drag elements, edit and you will have a mobile application in a matter of minutes. 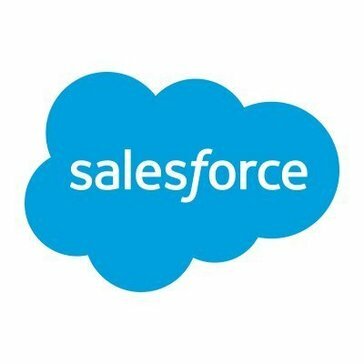 Creates software products and services offering unique and value-adding solutions to fellow human beings, who are in pain of paying more for a simple application or a website making service. Build for Mobile Create apps code-free. Deploy instantly. Appscend is a fully featured mobile application platform that enables you to develop, manage, optimize and monetize cross-platform, native mobile apps. Appsmakerstore is a application development software that is a do it yourself mobile App builder. Design and build mobile application that get attention and meaningful. Appstylo offers an ideal solution for business owners to build quickly and powerful mobile app at affordable price. asymbo is an application development software that creates m-commerce apps with built-in marketing features and maintenance. Using the aXes Mobile app, applications running on an IBM i server can deliver business information and transactions direct to mobile devices, e.g. Apple and Android. 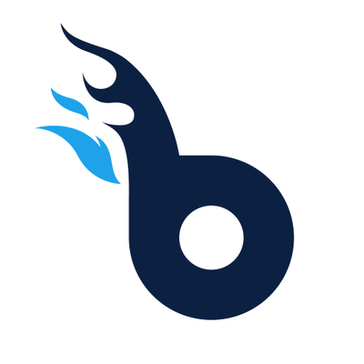 Beezer is an applicantion development software that helps users to create their own progressive web app for free, without any developer skills required. Clerisoft is a Visual Development Platform with simple-to-use, drag and drop tools. Hi there! Can I help you find the best Drag and Drop App Builder solutions?